You call it forgetfulness; they call it theft. Wendy Knowler gives handy tips to shoppers to avoid accidental shoplifting. I once shoplifted accidentally - it was a very long time ago, back in the days when music shops sold tapes. I walked out of a shop holding a head cleaning tape and had made it to the other side of the centre when I realised, with a pounding heart, I ran all the way back to the shop with that tape, terrified that I’d be accused of stealing before I got there. And I’m not alone - I’ve heard from many who’ve done similar things with all sorts of things - including a woman who was distracted by a work call on her cell and wheeled a full trolley of loose groceries straight out of a supermarket without going though a check-out. She only realised about 15 minutes later when she was in another shop in the centre, and back she went to pay for it. The point is that could have ended very badly for her, because retailers, plagued by massive amounts of shoplifting, generally take a tough stance if their security staff catch people exiting their stores without paying for goods. The police are called, arrests made, the alleged perpetrator is detained in a police cell while paperwork is done, and then there’s a court appearance. It’s hugely traumatic for someone who was really only guilty of being distracted, and didn’t mean to steal anything. And that appears to be what happened in the case of 52-year-old Lucy Moagi last Friday afternoon. A regular customer at the Shoprite in Tzaneen Crossing, she’d paid R665 for her groceries, but was stopped by a security guard when she left the store. That was around 15h30 in the afternoon. According to her niece, Liz Letsoalo, Lucy picked up a pack of chewing gum at the check-out and was holding it with her cellphone, when she absent-mindedly put both into her handbag when it was her turn to lift her groceries out of the trolley and onto the check-out counter. When stopped by the guard, she apologised and offered to pay for the chewing gum, but store management called the police, and she was escorted, on foot, to the nearby police station, where she was detained until around 02h00, after paying bail of R300, Liz said. Shoprite insists that Lucy was released at 23h00 on Friday, but that’s still a very long time to be incarcerated after a mid-afternoon trip to buy groceries. Shoprite’s official response was: “We are sorry that this happened to our customer and believe that such cases must be treated with utmost care and regard for respect. “The matter is being investigated and if it is found that it was mismanaged at store level, stern action will be taken. “Shoplifting is an ongoing challenge in the retail industry through which vast amounts of money is annually lost, placing the success of businesses and the job security of millions of people at risk. “All incidences of alleged unpaid-for items leaving our stores must unfortunately be investigated and our stance is do this without discrimination against race or stature in society. When Lucy appeared in the Tzaneen Magistrates Court on Monday, the charges were dropped. Whether the shoplifting was intentional or not, there is a legal “out” - the ‘de minimis non curat lex rule’ - commonly referred to just as “de minimis” - which essentially means the law does not concern itself with trifles. But often such cases are remanded many times before the case is withdrawn, adding to the person’s trauma. So clearly, to my mind anyway, there was no intent in Lucy’s case. But the security guard didn’t see it that way - he just saw that the gum was put in the bag without being paid for. But what of the store manager? Also no discretion? Given the emotional trauma that comes with calling the police, putting a person in a cell for hours on end, the public humiliation, I think they have a duty to weigh that up very carefully before making that call. A public prosecutor based in a KZN court told me this week that she has to deal with shoplifting cases on a daily basis, and often she does not want to prosecute the case because she can tell there was no intent - it was a mistake - but they have no discretion. Speaking on condition of anonymity, she said she recently had a case of a woman who had drunk a bottle of water in a supermarket, left the empty bottle in the bottom basket and didn’t pay for it. Being a Friday afternoon, she spent the weekend in a police cell, and the charges were not dropped when she did appear in court that Monday. There is the option of diverting the person, if a first offender - to NICRO -the National Institute for Crime Prevention and the Reintegration of Offenders - but as soon as the accidental shoplifters told NICRO they didn’t intend to shoplift, they are sent back to the court for prosecution. - Be present - try not to be distracted by your cellphone or your children. 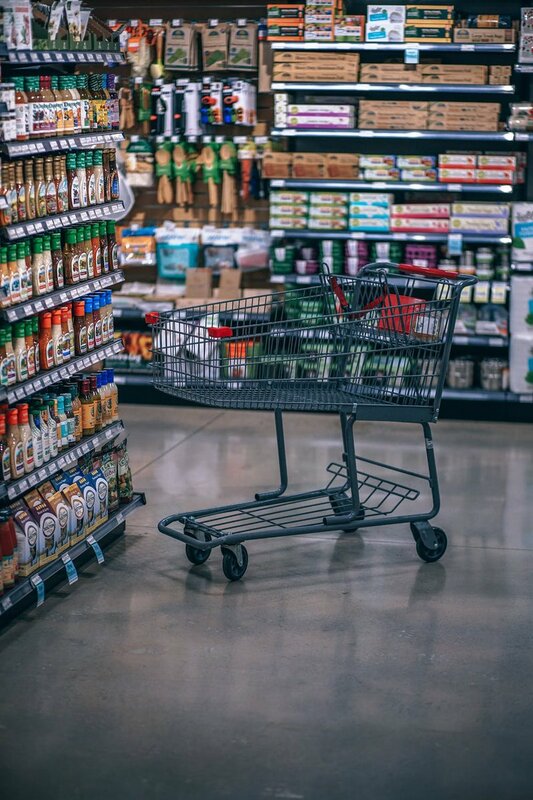 - Check your trolley before you exit a store for large items which are still lying at the bottom - dog food, charcoal, a pocket of potatoes or toilet rolls. - If using a pram, resist the urge to hang items on it or put anything inside it. - Don't enter stores with too much other shopping; rather offload regularly to your car. - And the biggie - don’t eat or drink products in store - security guards are on high alert for this, as some people do this with the intention of not paying and if you accidentally drop the wrapping or empty bottle forget to hand it to the cashier, you could very well be stopped as you exit the store, and accused of shoplifting. If you're apprehended, insist on dealing with the most senior person in the store. To contact Wendy, go to her Facebook page and click on the send email tab.